This coming Sunday will see the most important referendum to take place in Europe since the UK’s Brexit vote last year, as the people of the semi-autonomous Spanish region of Catalonia go to the polls to decide whether or not to seek independence from Spain. A similar vote which was held in 2014 saw 80% of the people vote in favour of secession from Spain. The poll has stoked huge controversy across the whole of Spain after the Spanish Government refused to acknowledge the binding legality of the vote claiming it was unconstitutional. The Spanish Constitutional Court agreed with them. 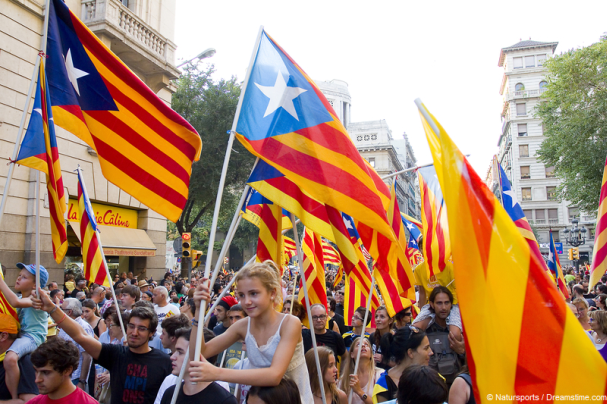 However, Catalan people support the vote, with 85% reportedly in favour of it being legally recognised. But the loss of Catalonia would impact Spain hard as it is home to around 20% of the economic output of a country hit hard by the recent economic crisis. As a result, they have been doing everything in their power to disrupt and undermine the vote, which Catalan officials plan to hold whether its result is legally recognised or not. Police raids have seen election materials being seized and officials arrested, but the move which has perhaps been most controversial has been their efforts to censor websites related to the ballot. Last Monday, 17 people were summoned by the Spanish police for questioning in relation to the development of a number of different websites. A spokesperson for the police told the French news agency Agence France-Presse that they were suspected of “disseminating a website for people to participate in a referendum declared illegal by the constitutional court” and that they had “made it easy for people to get documents … to organise the plebiscite”. The relevant websites were then taken down along with the website of the Catalan National Assembly (ANC), a large pro-independence group, which managed to get it back online with a different address within an hour. Another body which has been raided is the puntCat foundation, the body which oversees the registry of websites with the “.cat” domain. Spain is clearly nervous about the legality of their actions in blocking online content. The only response to questions of this nature given has been to say that they are enforcing the orders of Spain’s Constitutional Court, which has outlawed the vote. The EU has rejected this argument saying that they respect the Spanish Constitutional decision and that therefore blocking such websites is considered legal. Vera Jourova, the EU commissioner for justice has also weighed into the debate with an astonishing statement in which she claimed that free expression in the EU is not unlimited. Many people disagree with this and support the right of the Catalan people to voice their opinion on independence. There are reports of hackers around the world cloning the official referendum site, which has been shut down to make it easier for Catalan people to access information about how to register and where to vote. Here at VPNCompare.co.uk we certainly do not take any stance on the issue of Catalan independence. But we do feel strongly that it is wrong for the Spanish Government to censor online content in an effort to gag the freedom of speech of the Catalan people. We, therefore, recommend all Catalans who want to access the internet without restrictions to sign up with a reputable VPN, such as IPVanish or ExpressVPN. Information about the referendum has been posted on domains located around the world, so with a VPN connected to a server outside Spain, you should have no trouble finding the information that you need.